Hide deals from seller "Deesigns On You"
Limit 1 per person. Valid toward any services. Must be 13 or older. By appointment only. If posted phone number does not work, please try 847-612-8000. Full value of Gift Certificate must be redeemed in 1 visit. 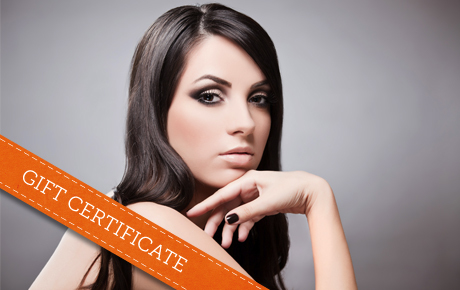 Create a look that’s just for you with 50% off a $100 Gift Certificate to Deesigns On You in Lincolnshire. This full-service salon offers a variety of services that will keep the whole family looking fabulous. In business for seven years, Deesigns On You is headed by owner and stylist Dee Reeves. Her passion for beauty and hairdressing has set the tone for a unique salon that is dedicated to giving clients the personal attention they want and deserve. They offer everything from creative cuts and updos to color services and makeup application. Deesigns On You is the perfect place to accentuate your look for a special event or to get a new look that will help you feel confident every day. Salon in Lincolnshire offering hair and makeup services.